Apple has been working on bringing its tablets out of the consumer-only category and into the productivity grounds. Admittedly, it has been doing so slowly, but today's iPad Pros, with keyboards, styluses, and iOS 11, are much more useful for work than the iPads from 2-3 years ago. At today's education-focused event, the Cupertinians announced not only a new cheap iPad that will support Apple Pencil, but also important software updates to make it useful in the classroom. 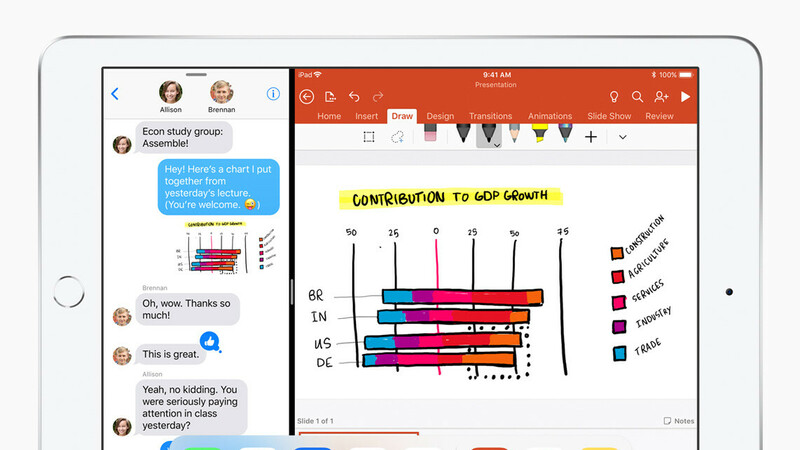 The iWork suite has received an update — new versions of Pages, Numbers, and Keynote allow the user to write and sketch within their respective documents. Students can collaborate on documents either by sharing them via iCloud or by sharing an iPad (multiple users now supported for schools). Pages allows them to create digital books that they can collaborate on and view directly in iBooks. The teachers can also mark the projects straight in the respective app with advanced markup tools — each note can be attached to the exact word it pertains to, instead of the notes just looking like ink overlayed on top of the paper. We also got a quick demo of new AR apps — Boulevard AR, which lets you inspect famous paintings up close (super close!) in augmented reality; Free Rivers by WWF, which show the students how dam-building affects rivers and their environment; and Froggipedia, which allows you to dissect a frog in augmented reality, instead of getting your hands dirty. Clips has also been updated with more overlays and stickers to help students make video reports and teachers to create captivating videos for the classes. Well those AR future's can be really helpful. no helpful. virtual can not compare with real life. you can eat by ar then you will feel full?. That is such a stupid analogy. AR can and WILL compete with real life in field of education and entertainment. 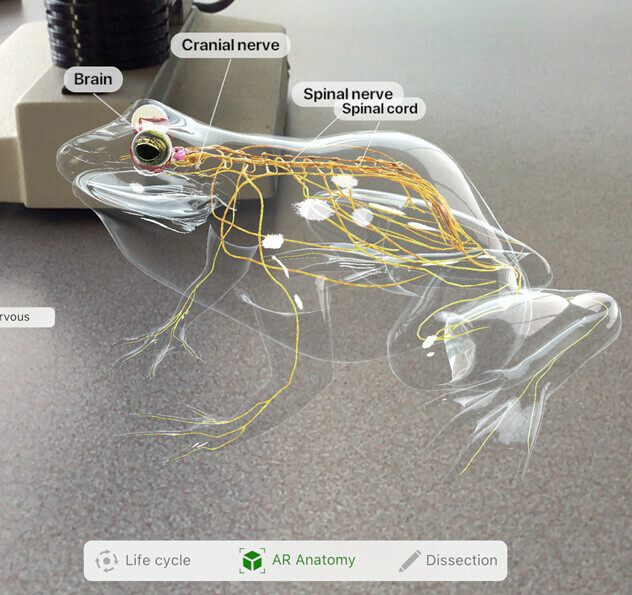 You can learn how to dissect a frog on AR just as well as you can in real life and learn the same skills. AR has never attempted to feed you food via a screen and probably never will (in near future) Your stupidity can only matched by your bad spelling a grammar.